January is National School Board Recognition Month—a chance to focus the country’s attention on the roles of local school boards and the importance of local school board governance in the American democratic process. In 2012-2013, school board members across Michigan participated in nearly 7,000 hours of classroom courses and online learning, all focused on education- and board-related issues. Ann Arbor Public Schools are pleased to welcome two new trustees—Patricia Manley and Donna Lasinski—to the board this month. Their profiles are below, as are those of Irene Patalan and Glenn Nelson, the two long-standing trustees whose seats Manley and Lasinski now fill. Donna Lasinski grew up in Shelby Township and attended Utica Community Schools, graduating from Eisenhower High School in 1986. She then earned her bachelor’s degree from the University of Michigan Ross School of Business, and her MBA from Kellogg School of Management, Northwestern University. Lasinski, 46, is president of ThinkStretch LLC, creator of the ThinkStretch Summer Learning Program. Her husband Mike Lasinski, is the CEO of 284Partners, a firm that values intellectual property. The couple has three sons: Alec, Nate and Jack, a senior, sophomore and eighth grader. Why did you run for the Ann Arbor Board of Education? I want to see every student in Ann Arbor meet their highest potential. After a decade of service as a parent leader and as an advocate for adequate school funding, I saw an opportunity to bring the voices of parents and our community to the school board. Did you enjoy campaigning? What surprised you most about it? I did enjoy campaigning. I was surprised by both how interested people are in education and by how diverse the viewpoints are among families and community members around education. The support I received from friends, family and colleagues was beyond my expectations. I enjoyed visiting nearly every school, and meeting parents across the district. Walking neighborhoods passing out flyers was exhausting and exhilarating all at the same time. Does anything scare you—even a little—about the job? Lots of things do! The AAPS serves over 16,000 students and has a budget in excess of $180,000,000 per year. The state legislature is choosing to systematically defund education causing intense pressure to simply maintain current programing. A trustee has a tremendously important responsibility to effectively set policies and approve budgets that will best serve students, parents and our community. What excites you about it? I am excited about the opportunity to grow the excellence in Ann Arbor Public Schools. We have strong educational programming and the committed staff to make sure every student succeeds. As a Board Trustee, I am looking forward to spreading our successes across the district and to taking a very focused look at our students’ experience within AAPS, both in terms of academic achievement as well as the day-to-day education experience. What will you have to give up to make time for your work as a trustee? It looks like sleep will be taking a major hit. As the mother of three teenage boys, the president of ThinkStretch, and an executive board member of Community Action Network, I will have to be even more diligent about time management. One thing that will not change is my “electronic” break for at least a day on the weekend to make sure I have quality time to spend with my family. Are there ways you’d like to see the board change? I think anyone joining the AAPS BOE would like to see shorter meetings. Sitting at the table, I had a new perspective on the stamina required to participate in an hours-long meeting until past midnight. What do you think the average person doesn’t know about the role of a school board in the community? The school board has only one employee – the superintendent. The school board cannot change a team leader or give a teacher a raise. The school board cannot discipline an employee or change a bus schedule. The school board sets the vision, the goals, and the policies within which the district operates. It is the responsibility of the superintendent and her cabinet to manage the district. What are some of your fondest memories of your own K-12 education? I remember naps in kindergarten, tag at recess in second grade, the spelling bee in fourth grade and wonderful classes, clubs and sports in high school. School was a place I wanted to be, where I was intensely engaged in academics and the dance team, and where I made friends I still have today. What is the last truly great book you read? Two of my favorite books are “A Fine Balance” by Rohinton Mistry and “East of Eden” by John Steinbeck. Both taught me something important about life that made my life richer, from a perspective that was new to me. And they were both page turners! Do you have a favorite quote? “Whether you think you can or think you can’t, you’re right.” It applies to so much in life, and reminds me that all is possible – and is up to me! What is your favorite movie, TV show, local hangout? My guilty pleasure of the moment is the TV show Scandal. I eat lunch nearly every day at Babo Market, a wonderful spot on Washington near my office. What would you tell someone who is not familiar with AAPS about the district? Ann Arbor Public Schools offer strong academic, arts and sports programs to meet your child’s education needs. We are a national leader for excellence in education, with a community of passionate parents, engaged students and a vibrant teaching staff. Patricia Ashford Manley was born in Ann Arbor on Feb. 19, 1945 to Hattie Mae Ashford. She attended Ann Arbor Public Schools through high school, including Jones Elementary (now Community High School), Tappan Junior High (now Tappan Middle School) and Ann Arbor High School (now Pioneer High School). 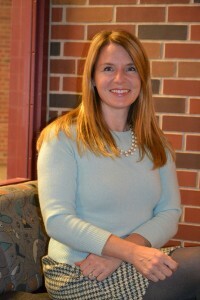 Manley received her bachelor’s degree from Western Michigan University and a master’s in guidance and counseling from Eastern Michigan University. past member of both the Michigan Theater Board of Directors and the Ozone House Board of Directors; medical mission trip volunteer to Haiti. Manley has won many awards through the years, including the 2013 Community Service Award, Ann Arbor Branch NAACP. She and the “love of her life,” Lamont D. Manley, have been married since 1979. 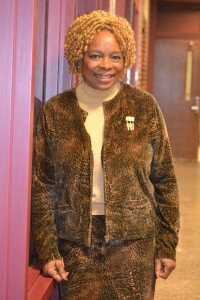 Although she does not have children of her own, Manley has influenced thousands of young lives during her 41 years as a teacher, counselor, coach and principal in AAPS. Why did you run for the Ann Arbor Board of Education? After serving 41 years in education (as a teacher, counselor, Assistant Principal and Principal), I retired only to realize that I still had a desire to work for students and to help shape the programs that make Ann Arbor such an outstanding district. Did you enjoy campaigning? What surprised you most about it? Campaigning was an awesome undertaking. I was fortunate to have a wonderful team to work with. We were all surprised at how massive an undertaking it really was. We still felt like there were so many more voters to reach — even after all of the flyers passed out, door knocks, mailings and Website/Facebook updates. Does anything scare you about the job? There is so much to learn that was not a necessary part of the routine of teaching and administration. Understanding the budget—in order to make sound decisions that affect program and staff for the entire district—is probably the most challenging aspect of the appointment. What excites you about joining the board? Having the opportunity to lend a voice from experience in the classroom, working closely with parents, working closely with students and understanding the tasks and challenges of a building administrator. My knowledge of what works well in the buildings and with the teachers, parents and students will hopefully add to the Board’s discussion and decision making process. What will you have to give up to make time for being a trustee? My goal is to be organized. As long as I stay organized, I hope that I will not have to give up my other commitments or activities. I obviously will lose my Wednesday evenings (smile). Are there ways you’d like to see the board change? I stated in my campaign materials that I would work to enhance communication between the community and the Board and to be more transparent in order to improve the process of making sound fiscal decisions that face the district. What doesn’t the average person know about the school board? Most do not know much about how the budget is put together and how the decisions that are made in Lansing effect the district budget and limits or dictates how it can be implemented. What are your fondest memories of your own K-12 education? Sixth grade, when I had my one and only African American teacher, Mr. Harry Mial at Jones Elementary. He truly made a difference in my understanding of my role as a young woman and how to manage conflicts. My other best memory is of my years as a junior varsity and varsity cheerleader at Ann Arbor High. What is the last truly great book you read? “Cooking with Grease: Stirring the Pots in American Politics” by Donna Brazile. Hobbies: Piano, traveling, old movies and dance. Hangouts: I like to hang out at home. What would I tell someone who is not familiar with AAPS? AAPS is an outstanding school system that offers a variety of programs aimed to fill the needs of all of its students. However, there is an achievement gap between Caucasian students and students of color, special ed. and low socio-economic students. This is a challenge that the district is working to overcome. 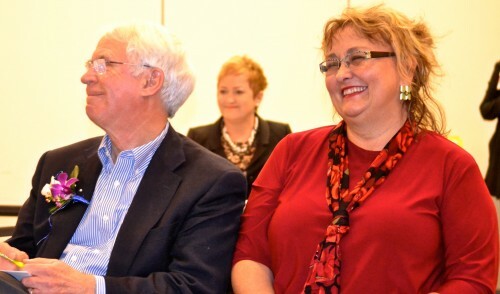 Glenn Nelson and Irene Patalan listen to tributes at a reception in their honor. Glenn Nelson has been a member of the Ann Arbor Board of Education since 2002. Born in 1944, he and his three siblings were raised on a family farm in western Minnesota. His high school graduating class—the largest in that county—included 42 students. After high school, Nelson studied agricultural economics at the University of Minnesota (B.S. ), Stanford University (M.A. ), and Michigan State University (Ph.D.). His involvement in the anti-war movement and the political campaigns of 1968 was an important turning point. Prior to this, his interests and studies tended towards mathematical and statistical approaches to understanding markets. They then shifted strongly towards governmental policy issues. Nelson worked in a variety of academic and governmental positions from 1969 through 1988. He was a professor at the University of Minnesota, chief economic adviser to the Minnesota governor, and senior staff economist on the President’s Council of Economic Advisers. In 1988, he moved to Ann Arbor as a “trailing spouse” because he and his wife, Margaret Dewar, decided she should take advantage of an offer to join the University of Michigan faculty. At this time, Nelson became an economic consultant. The couple has two children in their mid 20’s, both of whom live in the Ann Arbor area and help create many fun family gatherings. In those early days on the board, what surprised you most about being a trustee? In my first year on the board, I was most surprised by the controlling majority’s lack of interest in my ideas and suggestions. This situation changed in the second year and beyond. What would surprise the public most about it? About AAPS in general? I expect there is not one correct answer. Different people bring different life experiences to the board, and this leads to different expectations and surprises. With respect to AAPS, I think the biggest surprise may be the complexity of a modern, large, urban school district. The array of needs and programs is massive. Those who aspire to “know all about AAPS” will inevitably fail in this objective. I marvel at the amount and quality of work our administrators accomplish in the face of too few staff due to financial pressure. How many times did you ask yourself: Why am I doing this? I do not think I ever asked this question. I knew I cared intensely about education. I did ask, “Why does this have to be so hard?” I was often upset and even angry. I always walked home from board meetings, rather than drove, because I often needed a “cool down” period. On many occasions the 25-minute walk was not enough, and I would work rather than go directly to bed. I would then find it hard to work effectively the next day due to being physically and emotionally worn out. What was the most rewarding part about being a trustee? Three things: 1) The passage of a major bond in June 2004 that enabled a new preschool center, a new high school, and numerous improvements throughout the district – followed by passage of a countywide special education millage in September 2004. We leaders of AAPS and the voters had the courage to ask a lot of ourselves and the dedication to give a positive answer. 2) The building of a countywide coalition of school board members and administrators during 2006-2008 that led to their almost unanimous support for the enhancement millage placed on the ballot in 2009. This effort brought us to the brink of an effective regional, cooperative effort to sustain excellent education in Washtenaw County. 3) Maintaining excellent education in AAPS since 2009 despite declining state funding and pervasive turnover in top administrative positions. What was the most difficult part? Three things: 1) The forced resignation of Superintendent Ray-Taylor in 2002. I adamantly opposed this. 2) The defeat of the countywide enhancement millage in 2009. 3) The defeat of the annexation of Whitmore Lake in 2014. Would you do it all over again? Yes, without a doubt. Many of us want to do work that makes a positive difference in the lives of other people. Excellent schools are very important to the students of AAPS and to the quality and success of the entire community. My work as a trustee was almost always rewarding even as it was sometimes stressful. Why did you want the position in the first place, and why didn’t you run for re-election? I first ran because I was unhappy with the manner in which the trustees were treating Superintendent Ray-Taylor and with their financial management. My efforts to change these in the first year failed completely. I ran for re-election twice (2005 and 2009) because I felt strongly about the issues I was supporting and because I had the energy and mind-set to keep working hard in a positive manner. I did not run for re-election in 2014 because a) I was not sure I could maintain my energy and positive mind-set for another four years, that is, I am somewhat worn down; and b) I want a change after 12.5 years as a trustee. What will you remember most about your years on the board? In addition to the items I note above in the “most rewarding” question, I will remember the many wonderful people I have met and worked with. Trustees meet many people—citizens, AAPS staff, students, other trustees, etc.—and get to know some quite well. These relationships have brought me a feeling of accomplishment through partnerships and a great deal of joy as we shared our thoughts. My work as a trustee gave me “community” in a richer sense than I expect most people get to experience. So now what are you going to do on Wednesday nights? I do not know. But it will not include watching the board meetings! I will want to know what decisions were made, but will find a way to learn about this that takes a few minutes rather than hours. Any parting thoughts? I give my best wishes to the new and continuing trustees. Irene Patalan grew up in Detroit and graduated from Mercy High School before attending the University of Michigan. She was an R.A. at the Stockwell dormitory for three years before graduating with a teaching certificate. She lived on a communal farm for a year, taught school for five years in Dearborn Heights and then one year at St. Francis in Ann Arbor. Patalan married Rich Thompson in 1976 and a year later, started the family business, Collected Works, an Ann Arbor’s women’s clothing boutique. The couple welcomed their three children in 1979, 1980 and 1985 and Patalan says she felt blessed to become part of the AAPS family in 1984. Patalan was fully engaged at her chidren’s schools while they were there. She ran the Coordinating Council at Bach Open and the MYA and the PTSO at Community High School for years, after waiting in line and sleeping outside to enroll her two oldest children at CHS. She sat in on school improvement teams, chaired ice cream socials, and went on the “school-ship” field trip to the Leelanau Peninsula. She loved feeding 100 kids a day as the Waterloo Camp cook for several years, was involved with young people’s theater when her daughter was performing, and co-chaired the Citizens’ Millage Committee in 2004, the year her youngest graduated from CHS. Patalan’s children are Nik Thompson, who hosts the Sunday Best on WEMU, Michael Thompson, Emmy-winning senior producer for Nascar, and Kristina, an actress in New York City. Since her last re-election, she has become the grandmother of five, and says that Hunter, 6; Miles, 4; Sophie, 4; Dylan, 1; and Zoey, 1; are the sunshine in her life. “It is crazy, exhausting, exhilarating and so much fun when I am with them,” she says. In those early days on the board, what surprised you most about being a trustee? When I was first on the board, I realized that it was the big picture that had to be the focus of a school board member even though there are so many smaller, very local pictures presented to us. What would surprise the public most about it? About AAPS in general? The public would be surprised about many things, I am thinking. It is wonderful and appropriate that most folks, who are so attentive to AAPS, are involved at their local level. There is an entire bigger picture out there, with so many stories and episodes. Going right up the ladder and chain of command, people are listened to and problems are looked at. And this never seems to end. I think the public would also find the body of the work, that the superintendent, and administrators and principals and staff accomplish and/or are working on, staggering. There are 1000 (or maybe 16,500) issues each day. If we think about it, however, the main issue is that it is our children, and what is more up-close and personal, and precious, than that! I also think that the public believes that the board does all of this too. We advise, direct and evaluate the superintendent. We make policy. The great work is done by the remarkable administrators and staff. How many times did you ask yourself: Why am I doing this? I always knew that I would be on the Board of Education, and I knew that I would wait until my kids had graduated, because I could not be an active parent in their schools and on the board at the same time. Being fully engaged as a parent of AAPS, the board seemed like the nature next step. I had no ax to grind. Primarily, I wanted to be of service. It doesn’t take long to realize that you want the best for your own student and then you realize that you really want the best for all students. What was the most rewarding part about being a trustee? The most rewarding are the victories of things you hold dear. For me, these were the laser focus on literacy, the support of the arts even with less money, and the affirmation to courageous conversations. I was able to sit with Quad A in my early years as a Board member, and be profoundly moved at these conversations centering around race. What was the most difficult part? The most difficult is not being able to get everyone exactly what they need to succeed. But we certainly try! I was a parent before Proposal A. If Ann Arbor wanted something for our kids, we would put it on the ballot and it would invariably pass. We cannot do that anymore. The difficult first cuts, way back in 2007, and still the lack of funding today, make it challenging. We have a great school district. It is good to be retiring when we are in a positive, growth trajectory. The way we do business has changed. Education of our young people is our mission, of course, but politics and media and technology have changed the stage we are on. Would you do it all over again? Of course I would do it all over again. It was a labor of love of my Ann Arbor Public Schools. This is my community and family. This is the district that helped me raise my children. Why did you want the position in the first place, and why didn’t you run for re-election? I ran in the first place because I always thought that I would. I had been involved with Tony Barker’s campaigns in the 90’s, and Cheryl Garnett, and Ann Lyzenga, and Nick Roumel, etc. I cut my teeth as a new parent handing out palm cards at ice cream socials. I served on Blue Ribbon panels with John Simpson, and High School reviews. As I broadened my experience with district committees, it made more and more sense. Serving as a co-chair on the Citizens Millage Committee for the comprehensive school improvement millage took me to all schools, connected me with the whole district. When I ran in 2005, my business had downsized and moved to the Marketplace Building by the Farmers Market a few years before. After running for a second term, I expanded the business, more than doubling the space. I love what I do to make a living. I have wonderful, supportive customers; I am devoted to small business; I deal with small, creative vendors. I am blessed with a beautiful store and customers who get me. I am not retiring from the business. I expanded my store almost three years ago and could be working there 24/7. There is much to do when you run a small retail business. I have five lovely grandchildren that I want to enjoy to the maximum. I am older today than I was yesterday, darn it! So I must be realistic. My life has changed. I will be at my kindergarten-grandson’s class in the AAPS next year helping out. Can’t wait. What will you remember most about your years on the board? I will remember most the incredible talent and dedication in our lovely district. From our students, who amuse and delight me, to our teachers who are dear to me, to our beloved principals that I have worked beside, to the never-resting brilliant administrators that always help the Board do our jobs well. I have known 10 superintendents. Each one has contributed to our journey here: Richard Benjamin, Bill Wade, John Simpson, David Flowers, Rossi Ray Taylor, George Fornero, Todd Roberts, Robert Allen, Pat Green, Dave Comsa, and Jeanice Swift. So now what are you going to do on Wednesday nights? On Wednesday evenings, I will be at Collected Works, at my Miles’s school, or spending time with my A+ husband, Rich. Any parting thoughts? It’s always a pleasure to serve my community, my beloved Ann Arbor. All the best to the AAPS!